ABA president Hilarie Bass traveled to the Port Isabel Detention Center in south Texas last month, where she spoke with 10 women who had been separated from their children. In a video posted online last week, Bass described the visit and directed lawyers to several volunteer opportunities via the ABA. “I told these women, as they were sobbing in my company, that the lawyers of America would not rest until every one of them was reunited with their children,” Bass said in the video. The separation of families at the border by the Trump administration has received intense criticism from across the legal industry. At the end of June, a group of Big Law leaders characterized the separations as “lawless,” arguing that it violates due process and other fundamental legal rights. “There’s clearly case law out there that says you cannot use children in an effort to deter their parents behavior, and so there are many lawyers who think aspects of the zero tolerance policy violated law, because it was an effort to use the separation of children to pressure parents to not pursue asylum claims,” Bass told Bloomberg Law. 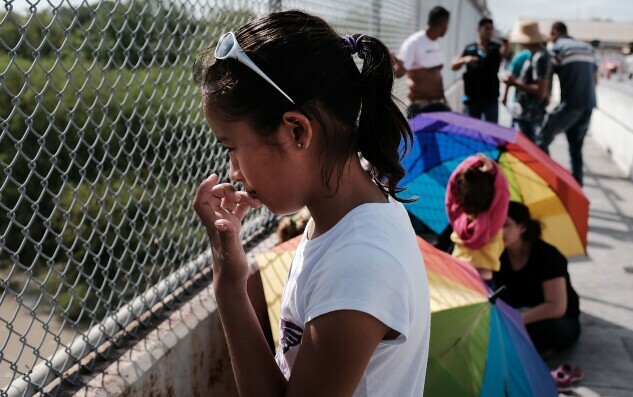 On July 20, the Trump administration said it had reunited 450 of 2,551 children with their families ahead of a July 26 deadline set by the court, according to Bloomberg News. Another 954 have been cleared for reunification, prompting a U.S. district judge in San Diego to remark that he was “very impressed” with the government’s effort to roll back the separations. Bass insisted that the ABA’s stance against the policy is legal, not political. “Informing people of their legal rights, good or bad, whether you agree they should exercise them or not, should not be viewed as a political issue,” she added. Bass took a similar position last year, when the ABA launched a legal fact-checking website following a Tweet by then-President-elect Donald Trump suggesting that flag-burning should be punished with loss of citizenship or jail time. The Supreme Court has ruled that flag-burning is legal. Since then, the website, ABALegalFactCheck.com, has taken aim at several subjects addressed by the President’s Twitter feed, including rights for non-citizens and the limits of attorney-client privilege. “The ABA is a nonpartisan organization, but these are not partisan issues,” Bass said of the site when it launched.